Expedia can help you save loads with South Tangerang travel packages. With all that extra money in the bank, you might even like to book a few extra nights. Our exhaustive database provides more than 400 partner airlines and 321,000 worldwide properties. With such a great range to pick from, you can't go wrong! You can postpone your travel reservations with us because we do not charge cancellation fees for almost all of our reservations. 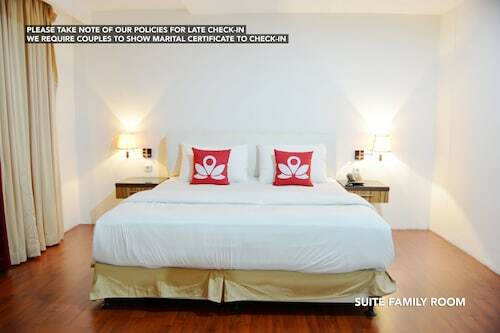 Getting ready to jet off on your South Tangerang vacation? Haven't got a clue what sorts of things to add to your travel itinerary? No need to fret — we're here to give you a few handy hints. Hiking is a popular activity and a superb excuse to head out and experience more of the wider region. Still got time on your hands? The fun doesn't have to end there. Think about doing some sunbathing as well. While it can be difficult to locate accommodations in the middle of South Tangerang, there are no less than 58 places to stay in the surrounding areas. Booking cheap vacations and luxury getaways is easy with Expedia. If your heart is set on somewhere with good services and amenities, be sure to have a look at The Dharmawangsa Jakarta (Jl Brawijaya Raya No 26) and The Residences at The Ritz-Carlton Jakarta, Pacific Place (Jl. Jendral Sudirman Kav. 52-53). Preparing for your trip to South Tangerang? Got your boarding passes sorted yet? Get ready to be received by a crowd of smiling faces at Soekarno-Hatta International Airport (CGK). It sits 13 miles (21 km) north of the central area. 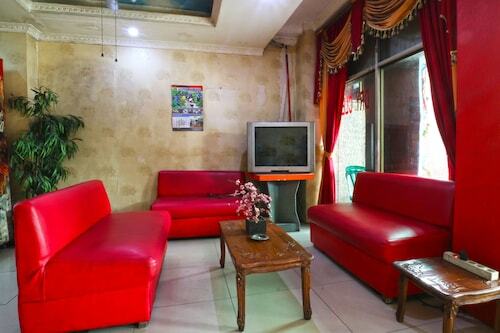 Situated in South Tangerang, this hotel is within 9 mi (15 km) of Situ Gintung, Gandaria City Mall, and Living World. Omni Hospital and Eka Hospital are also within 9 mi (15 km). Pondok Jurangmangu Station is 25 minutes by foot. 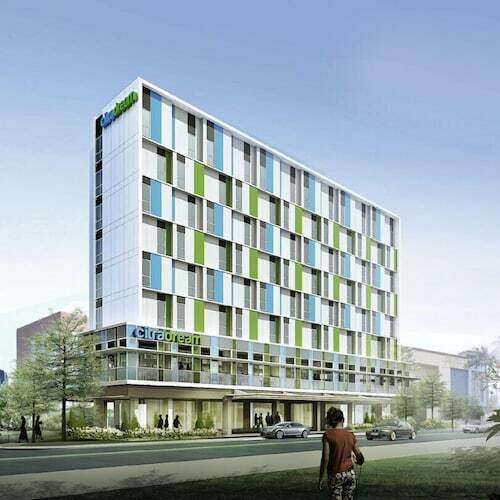 Situated in South Tangerang, this hotel is within 9 mi (15 km) of Situ Gintung, Living World, and Omni Hospital. TerasKota and Ocean Park are also within 9 mi (15 km). 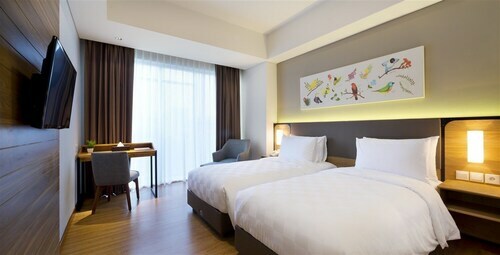 Situated in South Tangerang, this hotel is within 9 mi (15 km) of Gandaria City Mall, Block M Square, and Grand Indonesia. Thamrin City Shopping Mall and Plaza Senayan are also within 9 mi (15 km). 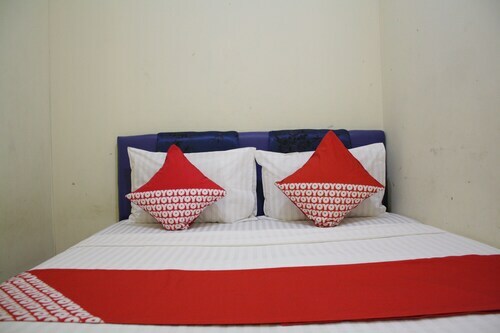 Situated in South Tangerang, this hostel is 2.4 mi (3.9 km) from Situ Gintung and within 6 mi (10 km) of Pondok Indah Mall and Cilandak Town Square. Block M Square and Gandaria City Mall are also within 9 mi (15 km). Situated in South Tangerang, this apartment building is 2.2 mi (3.6 km) from Situ Gintung and within 9 mi (15 km) of Pondok Indah Mall and Gandaria City Mall. Pondok Indah Golf and Country Club and Cilandak Town Square are also within 9 mi (15 km). 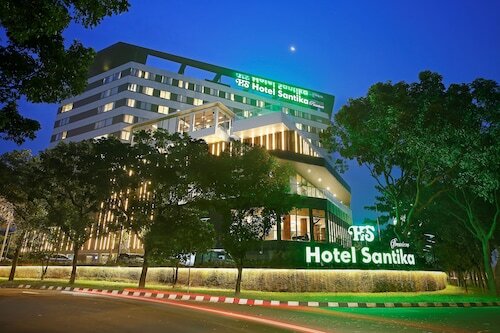 Situated in South Tangerang, this hotel is within 9 mi (15 km) of Eka Hospital, Gandaria City Mall, and Living World. TerasKota and Omni Hospital are also within 9 mi (15 km). Pondok Jurangmangu Station is 25 minutes by foot and Pondok Ranji Station is 25 minutes. Situated in South Tangerang, this hotel is within 6 mi (10 km) of Pondok Indah Mall, Gandaria City Mall, and Pondok Indah Golf and Country Club. Block M Square and Plaza Senayan are also within 9 mi (15 km). Pondok Ranji Station is 11 minutes by foot and Pondok Betung Station is 17 minutes. 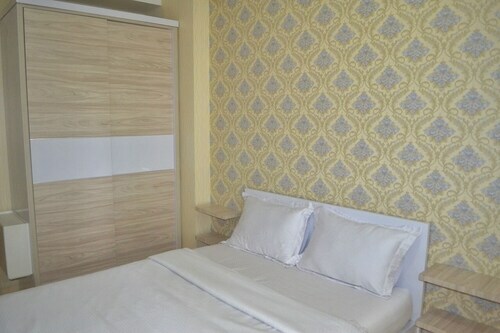 Situated in South Tangerang, this hotel is within 6 mi (10 km) of Gandaria City Mall, Block M Square, and Pondok Indah Mall. Plaza Senayan and Gelora Bung Karno Stadium are also within 9 mi (15 km). Pondok Ranji Station is 8 minutes by foot and Pondok Betung Station is 9 minutes. Sun., 27 Oct. - Sun., 24 Nov.
Fri., 20 Sep. - Wed., 9 Oct. Mon., 26 Aug. - Fri., 30 Aug.